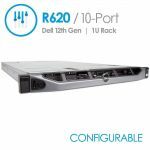 The Dell PowerEdge R510 is a 2-Socket 2U rack server featuring advanced management capabilities, cost-effective RAID options, and an excellent balance of internal storage, redundancy and value in a compact chassis. 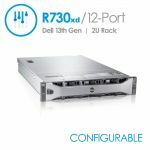 The R510 is designed for small and medium businesses or corporate environments as an excellent platform for core business applications such as Microsoft® SQL Server® and Microsoft® Exchange. 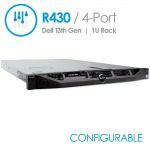 The R510 is also available in four-, eight- or 12-hard drive options so R510 buyers can choose the model that fits their business needs the best. A host of power management features such as power capping, power inventory and power budgeting to aid in the management of power within your IT environment. Low-flow fans, designed to spin faster in accordance with server workload demands and help reduce unnecessary noise when possible. To help accelerate diagnosis and repair of any failures, the LCD panel behind the system bezel displays error codes and text messages further detailing the problem. 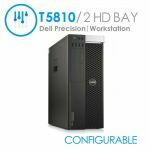 Tough, metal hard-drive carriers and organized cabling are designed to improve component access and airflow throughout the server. Up to 128GB (8 DIMM slots) 1GB/2GB/4GB/8GB/16GB DDR3 800MHz, 1066MHz or 1333MHz. 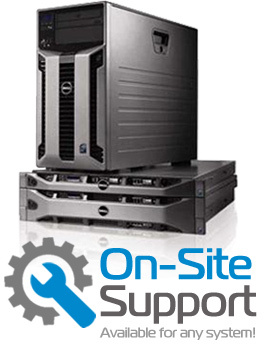 More information about its specs can be found on the official Dell PowerEdge R510 Spec Sheet.